In 2015, Børns launched onto the music scene with his dance-ready rock hit “Electric Love.” The song was featured on commercials and even got a shout-out from pop sensation Taylor Swift who called it an “instant classic.” He used distinct sounds of alternative rock as a template to showcase his own vocal ability, mixing ’80s pop, alt-rock and indie folk in the production to create the sound of his biggest hit and thereafter debut record, Dopamine. The artist’s debut album was an impressive introduction, seeming to indicate that Børns would be a household name by the time he released his sophomore record. As always, however, the dreaded second album can either make or break an artist. Blue Madonna unfortunately fails to offer anything new or exciting. The record repeats many of the same sounds heard on Dopamine, with little to distinguish itself as a standalone project. 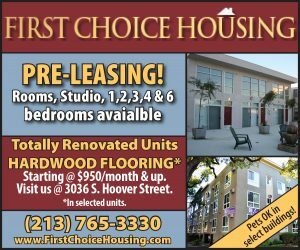 While it fails to make a lasting impression, the record has some moments of promise. One of the most intriguing moments of the record comes in its opening track, “God Save Our Young Blood.” The track encapsulates the younger generation of today with its lyrics, “spinning and [they] can’t sit still.” The fast pace of the world today is reflected in the song, and it starts Blue Madonna on a promising note. Although the refrain is a bit too repetitive, alternative pop singer Lana Del Rey loans her vocals to pleasantly blend with Børns’ higher pitch. The album relies on a collaboration with pop singer Lana Del Rey, electronic beats and high-quality production. Photo courtesy of Interscope Records. 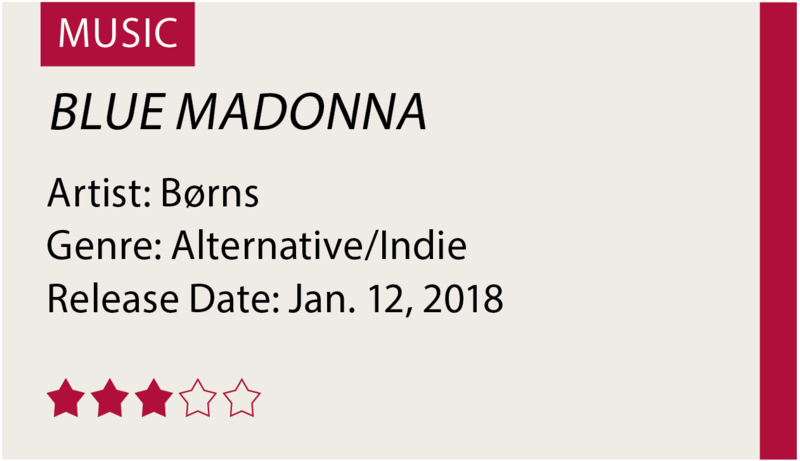 Unfortunately, several tracks on Blue Madonna are simply indistinguishable from one another, and superficial lyrics often fail to save songs from banality. “Man” finds Børns lost beneath an ’80s pop beat; the “If the world’s gonna end, I wanna be your friend,” and “When the lights go dim, I wanna be your man” couplets are overly simple, cliché lyrics. “Iceberg” likewise hides beneath its production. The track has a sound distinct enough to succeed and even impress, but like many other tracks, it could have benefited from stronger lyricism. 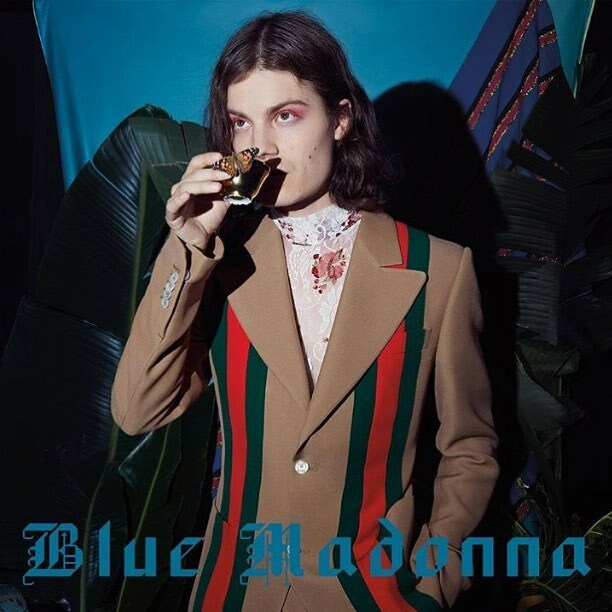 Blue Madonna’s best moments lie in its high-quality production. “Second Night of Summer” mixes synthesizers with a piano beat, while “Tension” incorporates a Caribbean sound that has become increasingly popular in popular music today. “I Don’t Want U Back” presents an EDM-influenced beat mixed with an autotuned Børns singing over the beat. The singer’s utilization of autotune in this track is jarring relative to the rest of the album’s production, but it works within the sound of the song. While Blue Madonna isn’t revolutionary, Børns’ soothing voice accompanied by a solid production save this project from being completely overlooked.